SIR REX HUNT, CIVIL COMMISSIONER FOR THE FALKLAND ISLANDS: PHOTOGRAPHS BY PETER TEARALL OF THE CENTRAL OFFICE OF INFORMATION. 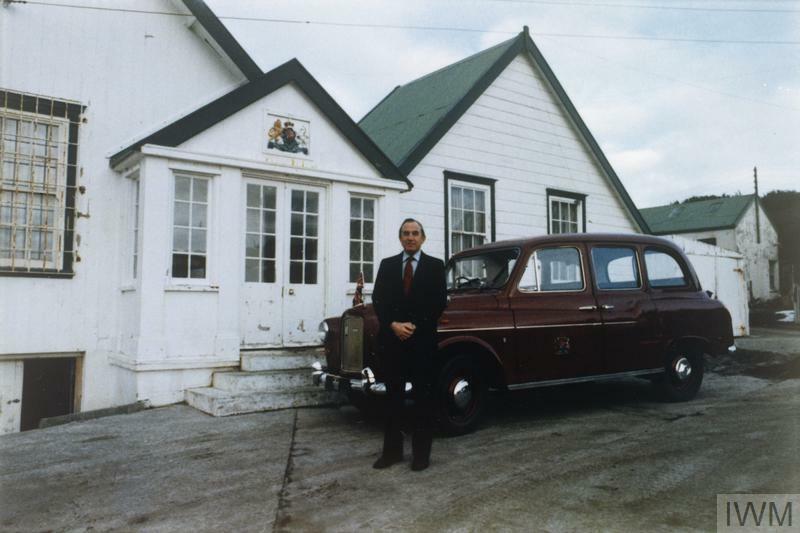 Sir Rex Hunt with his car, a London taxi. DIRECTOR OF PUBLIC WORKS FOR THE FALKLAND ISLANDS: PHOTOGRAPHS BY PETER TEARALL OF THE CENTRAL OFFICE OF INFORMATION.